Dr. Jesleen Ahluwalia is a Board Certified Dermatologist and a Fellow of the American Academy of Dermatology. Dr. Ahluwalia completed her undergraduate studies at Tufts University with a degree in Economics and graduated at the top of her medical school class from the University of Toledo College of Medicine. She completed her residency in Dermatology at Wayne State University where she served as chief resident during her final year. Throughout her career, she has published numerous articles in dermatologic journals and lectured at multiple national and regional meetings. 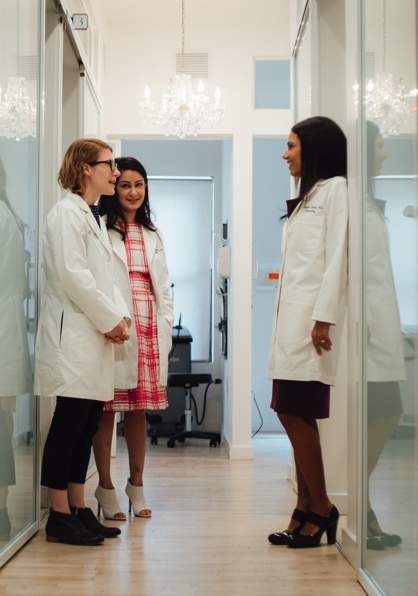 In addition to private practice, Dr. Ahluwalia holds the academic attending appointment of Clinical Instructor in the Department of Dermatology at the Icahn School of Medicine at Mount Sinai. She has a special interest in dermatology public health and has traveled extensively overseas administering dermatologic care in places such as Botswana, Cambodia, and India. Dr. Ahluwalia’s interests in caring for patients extend the full breadth of comprehensive dermatology — medical, surgical and cosmetic. She cares for both adult and pediatric patients, and stays at the forefront of new trends and clinical updates.